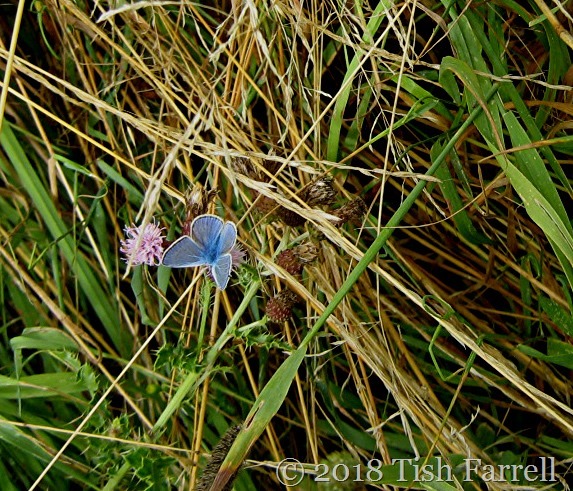 Posted on July 31, 2018 by Tish Farrell	This entry was posted in entomology, Environment, Photo Challenge and tagged #Lens-Artists, Common Blue Butterfly, Much Wenlock, Tish Farrell Writer. Bookmark the permalink. What a beautiful post Tish. Love the way you described and captured this beautiful creature. We’re blessed with many butterflies here but I’ve never seen one of these! Glad you like this, Tina. They seem to be a European species. They are speedy little creatures, so love this image! Thanks, Sue. I had to hold my breath a lot, and try not fall over as was carrying stuff to the allotment at the time, so it was all a bit one-handed. 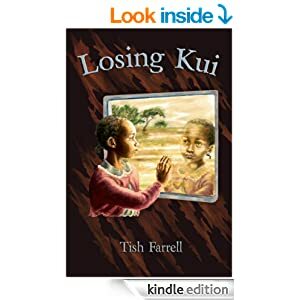 Doubly well done, then, Tish! Thank you, Sue. I sometimes think I should try doing one thing at a time. Well, I have had to, forced by circumstances!! I’m v. sorry about that, Sue. It’s hard to have one’s activities curtailed, having to choose what can be done and what can’t. He was such a sound chap, Leonard. And more power to your focusing on the positive. Well, it gets you through life better! That is a lovely scene you have painted here – clifftop butterfly clouds. Thank you. Sorry, I’ve been away gardening so only just seen this. Of course I’m happy for you to use the photo with a credit – if it’s not too late. You need to visit Godrevy point Sally, there were lots of blues there in June – maybe the Silver-studded Blue. Also I have seen lots down at Cot Valley also in June. I think up on the tumulus is what is called the point – opposite the island. The butterflies were feasting on the kidney vetch so maybe they have moved on now. Lovely shot Tish and a lovely butterfly, I think sometimes I’m too pre-occupied in getting too close. It’s only recently occurred to me that, paradoxically, you can miss a lot by mostly aiming for a close-up. They may be common but they are beautiful. I love the piece of dropped sky! It is exactly like that. One fluttered by me this very morning! 🙂 🙂 Lovely! I think this must be their big moment. It is so beautiful, thank you for sharing. Oh – wow! I saw a couple (I think) dancing round one another on downland not long ago – whatever they were, it was a lovely sight – peaceful, summery, happy. Never seen one as close as your wonderful photograph. They are an uplifting sight. After I’d posted this piece, I found a couple flitting around in the garden. They like the oregano flowers, but soon whizzed off. Great photo of the blue butterfly, Tish! You are right many a good shot has been spoiled by getting too close to the object, especially a skittish one. Have a great day! I’ve never seen one, so I really enjoyed yours. Sometimes getting the perspective is just as good or better than a closeup. My thoughts too, Janet re perspective. Good thinking, Abrie. Thank you for that. Marvelous composition. The blue offset by the pink and the green. Look great in a frame. I love the idea of a piece of the blue sky dropped onto earth. Lovely butterflies and the only way I have got a closer shot is by having a zoom lens on the camera! Thanks, Su. I think they must be. Or they reflect light somehow. Gauzy (is that a word? It looks weird!). “A fluttering piece of sky” is the perfect description. Gauzy is a good word, Meg. Like bluebirds which are also rare and hard to photograph. in fact, I’m not sure I’ve ever actually SEEN a bluebird. Or a blue butterfly. There’s something otherworldly about the shade of blue, so even when you see it, you rather feel you can’t be seeing it. That is such a dainty and colourful butterfly Tish, well done capturing it to share with us. Unfortunately butterflies seem to be a disappearing sight over here, as are gardens. Sad about your disappearing butterflies and gardens. Over-development for houses or what? The houses being built now take up the whole section no space left for gardens. Or they build apartment blocks, again no gardens. Gardeners are a dyeing breed. Also caterpillars are looked on as pests and plants are drenched in insecticides to kill them. No caterpillars no butterflies, so sad. Gosh, you really have surprised me, Pauline. Gardening seems to be on the up in the UK despite the close-knit domestic spaces, and reduced size of garden plots. Good on you and Jack and your lovely garden! Oh I like the delphinium petal. Better too that you enjoyed watching it’s flutters rather than trying to focus closely! Yes, it’s easy to be so involved with taking a close up, you’re not really enjoying the moment.